Alert Citizen Catches Thief, Holds Him at Gunpoint Until Deputies Arrive, LIVINGSTON, February 14, 2013 - On the evening of February 9, 2014, Deputies with the Polk County Sheriff’s Office responded to a theft in progress off of Buddy Brown Road. An alert citizen observed suspicious activity on a friend’s property. The citizen stopped to investigate and found three people loading several thousand dollars worth of scrap metal onto a flatbed trailer. He contacted the landowner and was told no one was allowed on the property except loggers who were contracted to cut timber. The citizen contacted the Sheriff’s Office and held the three at gunpoint until Deputies arrived according to Sheriff Kenneth Hammack. After an investigation by Deputies and Detectives with the Polk County Sheriff’s Office charges of Felony Theft were filed on Robert Grant Rowe, 49, of Livingston. 17 Year Old Arrested and Charged with Theft of Firearm, LIVINGSTON, February 14, 2013 - On January 27, 2014 the Polk County Sheriff’s Office was called to Indian Springs to investigate the theft of a shotgun from a vehicle. At approximately 5:00am the homeowner was awakened by his dogs barking. When he went outside to check he observed someone jump into a vehicle and flee the area. The homeowner checked his vehicle and found that his shotgun was missing according to Sheriff Kenneth Hammack. The case was turned over to the Sheriff’s Office Criminal Investigation Division. A suspect was developed and an arrest warrant for theft of a firearm was issued on Cody Lamar White, 17, of Indian Springs. 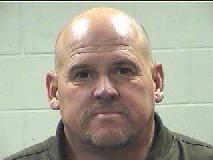 On February 8, White was arrested in Montgomery County on unrelated charges. Montgomery County Deputies discovered the outstanding warrant from Polk County and notified the Polk County Sheriff’s Office. A hold was placed on Mr. White pending disposition of his Montgomery County case. 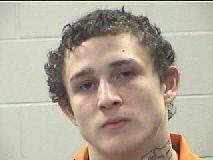 Cody White currently resides in Polk County Jail and is facing the charge of theft of firearm.